Esports, and other games : MSSA names its candidate for IESF's International Referee Workshop. 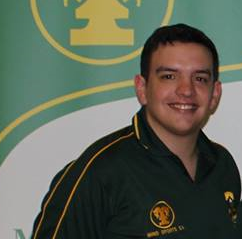 MSSA names its candidate for IESF's International Referee Workshop. International Esports Federation (IESF) shall be holding its international referee workshop in Busan, South Korea, in mid December 2018. Mind Sports South Africa (MSSA) put out the call, and from the applications received, chose the Registered Player who is the most qualified. Thus MSSA selected Jessie Joubert (ZAG Academy) who has umpired more events in South Africa than any other person who so applied. Jessie has not only excelled as an umpire, but has also proven his abilities in the technical aspects as well. Now all that needs to happen is for IESF to announce the names of those selected to attend its international referee workshop in Busan. MSSA to nominate candidates for IESF's International Referee Workshop.